Hong Kong trounced United Arab Emirates by 182 runs in their third match of the 2018 Asia Cup Qualifiers at UKM-YSD Cricket Oval, Bangi, Malaysia in the ninth match of the Qualifiers to take the second spot in the points tally with four points, behind Oman (6). 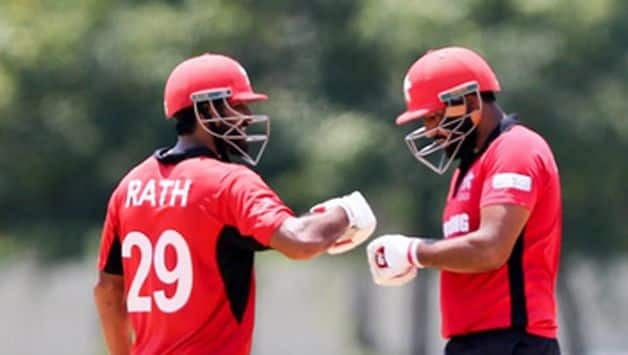 Centuries from captain Anshuman Rath (102) and Babar Hayat (107) had helped Hong Kong to a formidable total of 275 for 8 in a turnucated 49-over-a-side match before the bowling unit ripped though UAE’s batting, bundling them for just 93 in 24.5 overs. Off spinner, Ehsan Khan, 33, claimed four for 17 in his six overs while 23-year-old opening bowler Ehsan Nawaz picked two for 12 in his five. Experienced Nadeem Ahmed, who had claimed eight wickets in the first two matches returned two for 18 in his 3.5 overs. For UAE, skipper Rohan Mustafa top-scored with 33 while opener Ashfaq Ahmed (11) and middle-order batsman Muhammad Usman (19) were the other two to registered double-figure scores. 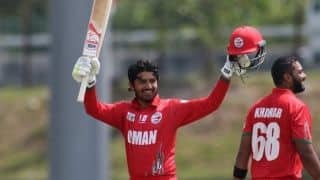 After being put into bat, Hong Kong lost opener Cameron McAuslan, 20, early for 13 to Imran Haider but Rath and Hayat forged a big 180-run stand for the second wicket. Rath,20, playing his 16th ODI compiled his 2nd ODI with the help of nine fours and two sixes. On the other hand, Hayat plundered nine sixes and hit two fours en route to his 105-ball knock. 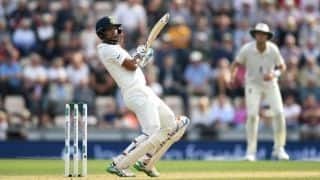 For Hong Kong, Mustafa claimed three for 56 in his twn while Haider returned three for 58 in his ten. In other matches, Nepal got the better of Malaysia while Oman continued their good run beating Singapore. Brief Scores: Hong Kong 275/8 (Anshuman Rath 102, Babar Hayat 107; Rohan Mustafa 3/56) beat UAE 93 out all (Rohan Mustafa 33;Ehsan Khan 4/17, Ehsan Nawaz 2/12) by 182 runs.